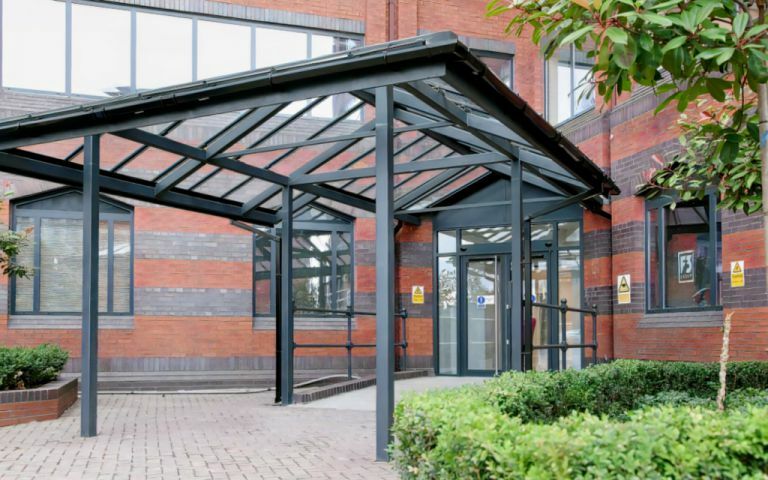 4 floors of Serviced Office Space which has recently undergone a ï¿½3.0M refurbishment to provide an extremely light, comfortable and unbranded environment with office sizes ranging from 2 desks to 80 desks. A waterfront property in the heart of Salford Quays with a 1st class view of Media City & Old Trafford Stadium. Hosting it\\'s own 94 space car park right outside the front door, with Metrolink and other public transports only 5 mins walk away and major motorway links only 10 mins drive away.